Jack Futrick has been a Blair Senior Services, Inc. volunteer for the past 13 years. Jack started his volunteer work with Blair Senior Services, Inc. Volunteer Income Tax Assistance Program (VITA). Jack stated, “Well, when you are retired it can be challenging to find things to do. I had taken a tax course many years earlier so I thought it was a good place to start.” In addition to VITA, Jack now volunteers for the Senior Farmers’ Market Nutrition Program and the Commodity Supplemental Food Program through Blair Senior Services. Jack helps prepare consumers’ taxes through the VITA program during the tax season at our Northern Blair Senior Center location. If eligible, Jack will also assist consumers with Property and/or Rent Rebates after preparing their tax return. For the Farmers’ Market program, he interviews the consumers to see if they qualify and, if so, will issue the Farmers’ Market vouchers to them. With the Commodity Box program, he verifies the consumer’s or proxy’s identity and obtains signatures to confirm the consumer’s box was picked up for the month. At the time of recertification, he assists by checking ID and confirming income eligibility. “They are such great programs that really help the older adults in the area,” Jack said. Jack said they are always in need of help with the VITA program and all the volunteer programs at Blair Senior Services, Inc. “You should try volunteering. Such a rewarding feeling knowing you are helping others,” he said. If you or your group is interested in volunteering for this program or any of the programs offered, please call Blair Senior Services, Inc. at 814-946-1235. Patricia Reidy has been volunteering for the Apprise Program and VITA Program at Blair Senior Services for the last 4 years. Patricia volunteers 1 day a week answering phones for the Apprise program. Patricia worked for the telephone company for 45 years so she thought this would be a good fit for her. During tax season, she volunteers 3 days a week helping prepare taxes. “It has helped me to keep busy”, states Patricia. 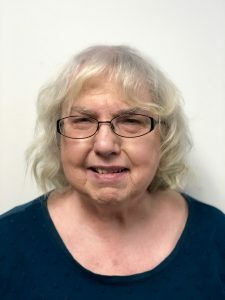 For Apprise, Patricia answers the phones and helps to answer very basic Medicare questions and is able to acquire information to direct the person calling to the right office or Medicare insurance counselor. Harold Snyder has been volunteering for the VITA Program at Blair Senior Services, Inc. for the last 18 years. 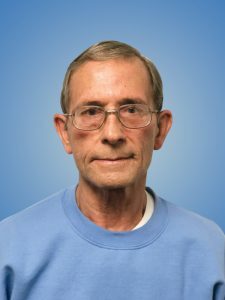 Harold started originally as an employee for Blair Senior Services in 1999, working at the information desk and security services. In 2000, he began helping with the VITA Program. 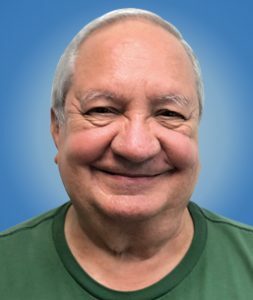 When he retired, he decided to continue with volunteering to do taxes with the VITA Program at Blair Senior Services, Inc.
Harold volunteers at the Blair Senior Services’ Central Blair Senior Center by assisting consumers with preparing their taxes. Mary Ann Hofer has been volunteering for the Foster Grandparent Program at Blair Senior Services for the last 17 years. Mary Ann volunteers 5 days a week from 8 a.m. until Noon. Mary Ann heard about the Blair Senior Services’ program through word of mouth and decided to give it a try. 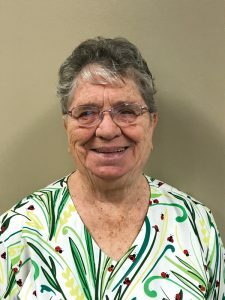 When asked what she liked the most about volunteering for Blair Senior Services, Mary Ann stated “I absolutely love everyone with my whole heart. Everyone at Blair Senior Services, in the offices, the van drivers are all so very nice. Then the people at the school, Mrs. Resko and all the teachers are so good to me. The students call me Gram. Who doesn’t need an extra Gram? I just love so much what I do and I have lots of fun. I look forward to each day.” Mary Ann does get paid a stipend for volunteering but said it doesn’t compare to the amount of reward she gets from volunteering. Rita Griffith has been a Senior Companion at Blair Senior Services, Inc. for 4 days a week for the last 20 years. 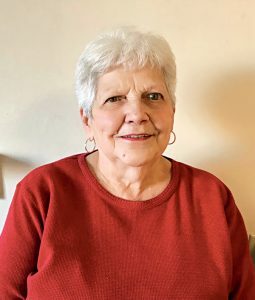 Rita said that her husband had been a Senior Companion and after he passed away she decided she wanted to volunteer to do the same with Blair Senior Services. Currently, Rita’s volunteer site is at the ALSM Senior Daily Living Center where she assists a consumer with some routine daily activities and provides peer support. 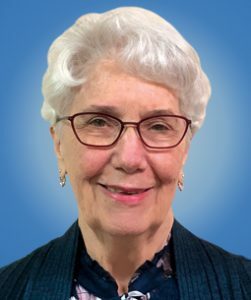 In talking with Rita, there is no doubt of her genuine care and concern for not only the senior she is companion to, but everyone at the Center, both consumers and volunteers. Cheryl and Jerry Strittmatter have been Meals on Wheels delivery volunteers for the past 3 years. 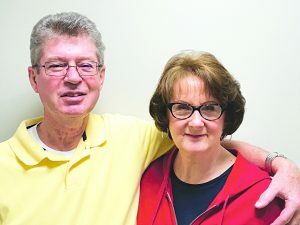 The couple saw an ad in their church bulletin regarding the need for Meals on Wheels volunteers. They felt it was something they needed to do and have been doing it ever since.